From peg-legged pirates to jaunty sailors and their captains, our range of seafaring ducks cover every nautical character you could possibly think of. 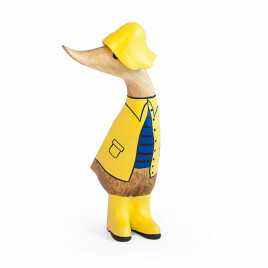 Each duck is hand-painted and carefully designed, with bright colours as well as thoughtfully made hats, shoes and coats, making them the ideal gift for any friend or family member with a bit of a sailing obsession. Not to mention a one-of-a-kind addition to any collection, home - or even as the newest crewmember for your own boat.